With Lisa Soberano’s recent announcement that she is pulling out of the much anticipated Darna movie, the online world has been abuzz with possibilities on who will replace her. Among the most popular actresses is a clamor for Nadine Lustre to take on the role of the iconic Pinay superhero. “My God. I’ve heard about that. I’m really happy that they’re very supportive but I know naman kasi that the role is going to be given to someone who’s deserving and someone who can do it. I mean, it doesn’t have to be me. It just has to be someone who can give justice to the role,” she said during the Skechers Move in Style event “D’Lites x Bang” held last April 6 in Taguig City. At the moment, Nadine shared she won’t know if she will accept or decline the role if it would be officially offered to her. “I don’t know. It depends. I don’t really like saying that I don’t want to do it or not because mapupunta talaga yan sa kung sinong deserve nung role na yun eh,” she admitted. 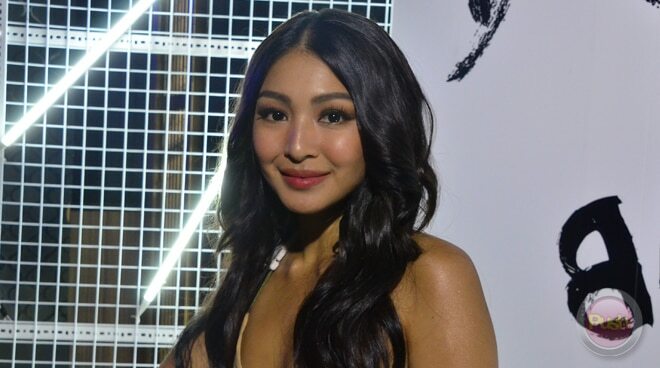 Meanwhile, after getting positive reviews for her performance in Ulan, Nadine told the press she is proud of her first movie project for the year with another one currently in production already. “It is a very brave project. It’s a very brave film and definitely I would love to do projects na ganun, that’s not your usual. Kasi I think it’s time for us to start thinking out of the box. I don’t have a teleserye but I do have a film coming soon. It’s called Indak. It’s parang a dance musical. I’m working with Sam Concepcion on this one. I’m doing movies this year so parang same lang naman siya. I’m still acting," she stated.